My husband and I have been to Universal Orlando several times now. The first time we stayed for a whole week and only did Universal. My main reason for going was because of the Wizarding World of Harry Potter. I am a huge Harry Potter fan! I’ve of course read the books several times and couldn’t wait for my first visit to enter the magical world of Harry Potter and I will tell you now, it doesn’t disappoint! The second time we went, walking into Diagon Alley felt like coming home. I can’t wait to go back! I’ve read many, many blogs on the tips and hidden secrets of the Wizarding World, but having been there a few times and having adventured into every nook and cranny, this is my list of tips, tricks and secrets. We’ve now been to Universal in the months of February, September and November. In November, we were there Thanksgiving week, so it was the most crowded of the months we’ve visited. I don’t think I have to tell you that it will be packed in the Summer. But, February and September were supposed to be slower times for Universal, but although February was much cooler and comfortable weather, September was obviously less crowded. Check out the side by side pictures and you’ll see the difference too! Our February trip was the week of Presidents Day and our September trip was the last week of the month. So, it is safe to say that all theme parks will be more crowded surrounding holiday weeks. I’ve heard many blogs mention going to Hogsmeade first as Diagon Alley is more shaded and cooler for the afternoon. I will say this is true, but when it’s your first visit, for a true wizard, you must go to Diagon Alley first, then take the train to Hogsmeade. Especially if you have a younger fan with you. It will feel like a more truly authentic experience of being a new student to Hogwarts. Trust me. But, make sure you take the Hogwarts Express back to Diagon Alley at some point. The train ride is interactive and is different each way. But, if you can only go to one side, I’d recommend Diagon Alley. What is a Park-to-Park ticket? When purchasing a Park-to-Park ticket you receive unlimited access to both Universal Studios (Diagon Alley) and Island’s Of Adventure (Hogsmeade) which also includes admittance to the Hogwarts Express. The Hogwarts Express actually connects the two parks and provides transportation from one to the other. This is why you need a Park-to-Park ticket to ride it. getting your picture taken walking through the barrier of Platform 9 3/4! If you have a young wizard in the family I highly recommend doing the surprise reveal for the upcoming trip by having a Hogwarts acceptance letter mailed to them. They don’t cost very much. Check out my post Your Harry Potter Gift Buying Guide to find out where to buy them. Or you can download and print these for FREE on my PRINTABLES PAGE! If staying on site, we stayed at the Cabana Bay, you will get early access to Diagon Alley and it is well worth it to be there ahead of the crowds. Cabana Bay, if you are familiar with Disney Value Resorts, feels somewhat similar in style to Disney’s Pop Century Resort. Their food courts especially are very similar. I will say, having stayed at both, that Cabana Bay feels a bit closer to a moderate level resort at Disney. The rooms are not motel style and the entire resort is enclosed, with two pools, a restaurant in addition to the food court, a bowling alley and arcade. The transportation is easy as there is one dedicated bus for Cabana Bay and as Universal is compact, the bus drops you off at one area. The Cabana Bay bus drop off is the same area that shuttles, taxis and Ubers drop off and pick up. You just head up the escalator and go to the left for bag check. They then have moving walkways that help you get to the entrance to City Walk, which is especially nice at the end of the day! You walk through City Walk and this is especially important, if heading to Diagon Alley first, take a right at the end of City Walk towards the Universal Globe, this is the entrance for Universal Studios and Diagon Alley. If you want to visit Hogsmeade first, keep going straight for the entrance to Islands of Adventure. If staying on site, like at Cabana Bay, the early morning access will sometimes be for Hogsmeade and sometimes for Diagon Alley. When you enter Universal Studios, the quickest way to Diagon Alley is to take a right the block after the Shrek Ride (you’ll be walking past the Transformers building on your left), then take a left after the Transformers ride, follow the lake on your right all they way to London. Before heading into the brick facade to Diagon Alley (the entrance is on your left), look left. Have your picture taken in front of the actual Leaky Cauldron door. You can also step in the phone booth and dial MAGIC to reach the ministry of magic. If entering Islands of Adventure first to get to Hogsmeade, you will just follow the park around to the right. You’ll pass through Dr. Seuss Land, which can be quite distracting especially for children, and the Lost Continent (I highly recommend Mythos for dinner and the Sinbad stunt show, which for Disney fans is comparable to the Indiana Jones stunt show). Then you’ll see the gates to Hogsmeade ahead of you. Look to your right and you’ll see the Night Bus. You can have a conversation with the conductor and talking head. The talking head has a real conversation with you (there’s definitely some extra hidden magic there) , unlike the “siri” types of answers you get from the Gringotts goblin. Also, make sure you head round to the back of the bus! You’ll get a glimpse inside the Night Bus! Go straight past the entrance and you are on Grimauld Place. Have your picture taken on the steps of #12 (I’ve actually seen people getting pictures taken in front of other doors, they must not be Potter fans!). And, wait and watch the window above for Kreacher to appear! Only do Olivander’s at Diagon Alley! This may actually be a bit of a pet peeve of mine, but there are a couple of reasons to do it this way. The first is that the Hogsmeade one is always more crowded, don’t ask me why. All I know is that it was the first Olivander’s since Hogsmeade came first at Universal. The second reason is for more Harry Potter authenticity reasons. There isn’t even supposed to be an Olivander’s in Hogsmeade! The real Olivander’s is in Diagon Alley. If the line looks super long when you walk by, go for a walk or check out a shop, then loop back. We did this and it went from a line around the block to no line at all! My best advice is to look everywhere, in every corner, window and don’t forget to look up! Check out Olivander’s desk in the back of the shop. Make sure to ask an employee for assistance as they are a wealth of knowledge on the wands. When you purchase an interactive wand, you’ll receive a map with Diagon Alley on one side and Hogsmeade on the other side. Each map indicates where spells can be done using your interactive wand. There are also symbols on the ground telling you that you’re in the right place. It took me quite a while to master it, you’d be surprised how difficult it can be and you feel quite silly with kids behind you waiting their turn. But, by the end of my full week there, I felt like a pro. Basically, you have to ruin the magic a bit and remember that there is a sensor picking up the movement from the tip of your wand. Look for the round black camera lens with the red dots and point your wand in that direction. You don’t want to be too close either, maybe about 2 to 4 feet from the camera. And, make sure the movement is small. And, yes, there are hidden spells not on the map and they do not have a symbol in front of them. I have come to the conclusion that they rotate the hidden spells. I have not found them all yet, but I am determined to. There are two that I am sure are in Diagon Alley at least some of the time. I can share with you the location, but not what happens since that would ruin the fun. The first I know of is the right hand window at Scribbulus and the second is at the Apothecary store front window. Make sure to just do a triangular movement in the direction of the camera and you’ll see the magic happen. I’ve also heard there are hidden ones in Knockturn Alley, so I’ll keep looking on my next visit. If you haven’t heard elsewhere, you can see hidden images on the Knockturn Alley part of the map under a special black light in Knockturn Alley. I thought, from reading other blogs, that it revealed hidden spells, but it just reveals fun images. I had a difficult time finding the light the first time, but it is located to the right of the moving skeleton, between the skeleton and the locomotor chimney sweep spell areas on the map. Also, be aware there are three entrances to Knockturn Alley, the first is next to the entrance to the actual restaurant for the Leaky Cauldron, the second is under the Borgin and Burkes sign and the third is the Knocturn Alley sign at the end (the finger pointing arrow). There is also a good bit of hidden magic at Borgin and Burkes. The Vanishing Cabinet is in the store in the back right hand corner. If you listen you can hear the bird chirping, like from The Halfblood Prince. When first entering the shop you can see the “Hand of Glory” in the case on your right. Wait patiently as the hand will open and close. Take a good look around as there are many movie props and dark objects throughout the shop. Now this is my secret, remember I told you to look everywhere right? Well exit out the back door of Borgin and Burkes and head down the dark alley. Watch out though, your locked in! This is also the middle entrance to Knockturn Alley! #10 Check out all of the magic in the shops in Diagon Alley! This includes the talking mirror in Madam Malkin’s and the fun awaits you in Weasley’s Wizard Wheezes. You’ll enjoy getting some quality quidditch supplies and sweets too! Also, the front windows are fun too. There are spots for spell casting and the one on the right has giant toads that move! After getting off the Hogwarts Express and taking in the awe of Hogsmeade Village and the looming Hogwarts Castle, step into The Three Broomsticks for a bite. While having a meal make sure to check out all of the many details! Look up and all around. Also make sure to go check out the Hogshead side of the restaurant. Make sure to leave via the back door and check out the excellent photo opp! Make sure to enjoy the line for the Escape from Gringotts and Forbidden Journey at least once. I especially loved the walk through for the Forbidden Journey! You walk through the green houses and the castle and there are just so many details that the true Harry Potter fan does not want to miss! But, once you’ve experienced the line, I highly recommend using the single rider line! There are express passes at Universal Orlando, but they are pricey. The single rider line allows you to skip ahead of everyone if you’re willing to be split up from your party. It’s only for a few minutes and allows you to enjoy the rides more! But, beware that at the busiest time of the day, usually the early afternoon, even the single rider line can get backed up! This one is definitely split down the middle! The Universal Express Pass is similar to Disney’s Fastpass system, but there are no scheduled times. With the pass you can enter through the Express Line for quicker access to the rides. For Universal, the Express Pass is not included with admission. If staying at Universal’s deluxe hotels (Cabana Bay is not included), you will receive Express Passes for the length of your stay. For those wishing to add it on it depends on how you want to use it. You can get the regular Express Pass, which lets you bypass the lines on each ride once per day or the Unlimited Express Pass which allows you unlimited access to the bypass line. The prices also depend on whether you want it for just one park or both parks. Unlimited Express Passes for use at both parks will run you $84.99 per day! What do I recommend? We’ve visited Universal three times now and have never used the Express Pass. We’ve never felt it worsened our vacation. There is a Universal app you can install that will notify you of wait times. Many of the rides have fun interactive lines and you always have access to the single rider line. #13 Don’t forget your souvenirs! Make sure to send a letter home from the Owl Post in Hogsmeade with an Owl Post Mark! And, grab yourself a Chocolate Frog and some Hogwarts house themed items. I’m a Hufflepuff! I recommend this for any ride really. They also have the “child swap” option for parents. #15 Ride the rides before closing. I’ve heard others say to ride them as soon as the park opens, but I’ve gotten in early and seen the lines wrapped around either back to the entrance to Diagon Alley or the bridge next to Hogsmeade! Stay till close to closing and the wait is usually 20 minutes or less. We’ve ridden twice in a row this way! And, #16 This is my favorite tip! Take a seat on the stairway to no where and just enjoy the view of Diagon Alley! The stairway is right behind Hagrid’s motorbike between Gringotts and the Magical Menagerie. This is my favorite spot. Grab yourself some ice cream from Florean Fortescue’s, a hot or cold butterbeer depending on the time of year or a draft beer and just people watch or wait for the Dragon to breathe fire. It is an excellent view of Diagon Alley. It’s my favorite spot to sit at night just before closing as the crowds thin out to head home. Then you can have Diagon Alley all to yourself and without having to push through crowds leaving the park. It helps to preserve the magic a bit as you leave. There a few options for Butterbeer. My husband prefers the hot butterbeer, which tastes like a butterscotch flavored white hot chocolate. You can also get the frozen version, like a frappuccino, which I’ve heard is many people’s favorite! I personally prefer the regular cold version. But, try all three and decide which is your favorite! When someone is performing a spell either at the Umbrella or the Mermaid in Diagon Alley, stay out of the way! Unknowing pedestrians may also get wet! They say there is a sound that comes just before the dragon breathes fire, but sometimes it doesn’t happen when it’s supposed to and there are other sounds that deceive you into thinking it’s about to happen like the train arriving. So, be warned if your waiting for the perfect shot, you may be holding your hand in the air all day waiting for it to happen! This post was devoted to the Wizarding World, which is the main reason I visit Universal! But, there are other things to love at Universal and Islands of Adventure! There are amazing restaurants at City Walk, as mentioned earlier the Sinbad stunt show in Islands is awesome, my husband loves visiting Simpson’s Land and my favorite non-Harry Potter themed ride at Universal is the Mummy ride, which we’ve ridden twice in a row on slow days. I’ll share more general Universal information in a later post! Are you heading to Universal while on a Disney Vacation? Check out these sites for more info on getting there! Check out Touring Plans.com for more info on “all things transportation” to and from Universal: Taxi’s (I learned the hard way) can cost upwards to $50 one way, but for a less expensive option, I highly recommend using Uber or Lyft. They now have a Christmas light show and fireworks at Hogwarts Castle! Check out my post on Christmas in the Wizarding World! The Dragon Challenge has been removed from Hogsmeade! I’m really bummed about this as I loved that ride, but understand the desire to remove it. It was a ride that was there pre-Wizarding World and they adapted it to fit in with Hogsmeade. But, it did kind of “ruin the magic” a bit when exiting the Hogwarts Express and seeing a roller coaster right away. It didn’t fit well with the immersive world they were trying to create. Currently, the area is under construction. The ride that replaces it is said to still be a roller coaster and is hinted at being immersive and innovative. There is a rumor that it will be themed around the Forbidden Forrest. Check out what Pottermore has to say about it. Want more Harry Potter? Check out my Warner Bros. Studio Tour post! Want more Orlando? Check out my other Universal and Disney posts! Do you know of any hidden magic I missed or know of any hidden spells? Please share in the comment section below! Planning a trip to Universal? The services of a travel agent are completely FREE. 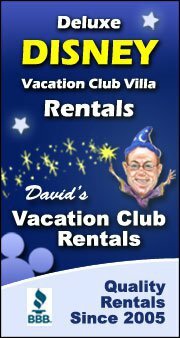 I can help you plan an unforgettable and magical trip to the Wizarding World! Follow this link for more information! Or fill out the form you see in the side bar. This entry was posted in Universal Orlando and tagged 2018, acceptance letter, borgan and burkes, borgin and burkes, cabana bay, diagon alley, dragon challenge, early admittance, escape, express pass, forbidden forrest, forbidden journey, free printables, gringotts, guide, Harry Potter, hidden magic, hogshead, hogsmeade, hogwarts express, interactive spells, interactive wands, islands of adventure, knockturn alley, leaky cauldron, london, magic, ministry of magic, muggle, new ride, night bus, ollivanders, park to park, planning, platform 9 3/4, reveal, three broomsticks, three quarters, ticket, tips and tricks, travel agent, travel consultant, Universal Orlando, universal Studios, update, vacation, weasley's wizard wheezes, when to go, wizard, Wizarding World. 11 Comments on "The Wizard’s Guide to the Wizarding World of Harry Potter: 16 Tips & Hidden Magic"
Of all of the blogs I’ve read to help us get ready for our first trip- this is my favorite- truly helpful and a delight to read- thank you!! Thank you Jennifer! That is wonderful to here! This was an excellent blog! Thank you! I went to Hogwarts myself! Oh goodness was it the most amazing experience of my life! Not going to even lie to you, I cried when I rounded the corner and ended up in Hogsmeade. Definitely one of the most incredible experiences of my life! Next up for me is going to London to check out a ton of other HP sights! I definitely cannot wait. Thanks for the share! I also was next to tears the first time I entered Diagon Alley! Amazing! Thank you for the kind words! I too really want to go on a Harry Potter tour of England! Thank you for all the tips! My family is planning a trip to Universal soon and your blog is extremely helpful.